On the occasion of the 50th anniversary of C. S. Lewis’s death, a special annotated edition of his Christian classic, The Screwtape Letters, with notes and excerpts from his other works that help illuminate this diabolical masterpiece. Since its publication in 1942, The Screwtape Letters has sold millions of copies worldwide and is recognized as a milestone in the history of popular theology. 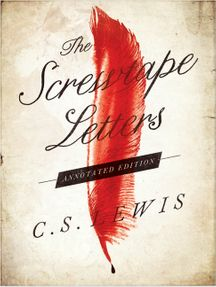 A masterpiece of satire, it offers a sly and ironic portrayal of human life and foibles from the vantage point of Screwtape, a highly placed assistant to “Our Father Below.” At once wildly comic, deadly serious, and strikingly original, The Screwtape Letters comprises the correspondence of the worldly-wise devil Screwtape and his nephew Wormwood, a novice demon in charge of securing the damnation of an ordinary young man. For the first time, The Screwtape Letters will be presented in full-text accompanied by helpful annotations in a striking two-color format. 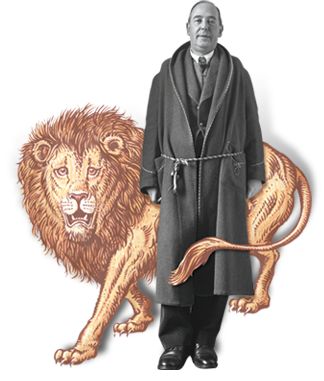 These annotations will give fans a deeper, more nuanced understanding of the popular book, providing background information, explanations of terms, historical significance, and excerpts from Lewis’s other works that more fully explain the ideas in this volume. For both expert Lewis fans and casual readers, The Screwtape Letters: Annotated Edition will be a beautiful and insightful guide to a beloved classic.